Hello! 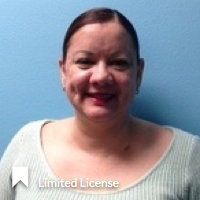 My name is Ivelisse Rivera and I am part of the IMPOWER team based in Osceola County, FL. I earned a Master’s of Education with concentration in Professional Counseling from Interamerican University of Puerto Rico and offer counseling services for all ages. Do you want to increase your creativity and spontaneity? Improve your relationship with yourself and others? Understand past behaviors and gain tools to act in new ways that are in alignment with your authentic self? I am intensely committed to guiding professionals, teens, adults and disabled persons who are eager to step into their full potential and achieve meaningful positive change. My mission and commitment to you is to provide friendly, professional and experienced wellness-care that is tailored to you and your family’s unique needs. If you are looking for a professional counselor who can help you address and resolve the feeling of being “stuck”, bored or frustrated with a current situation, help you add new tools that can act as agents for positive change, or help to navigate a new situation or phase of life, you've come to the right place. I have over 10 years of experience working with amazing clients with similar worries and concerns and guiding them to achieve remarkable success. Discover the tools to live a fulfilled life now... contact me today! * Ivelisse has completed coursework and received a Masters degree from an accredited university; however, she is not fully licensed to practice independently, and is under supervision with a fully licensed Provider. The State of Florida allows individuals under supervision to provide clinical services to Medicaid patients. Anger Management, Divorce, Grief/Loss, Parenting Skills, Anxiety,Depression, Sexual Abuse, Codependency, Domestic Violence, Obsessive Compulsive Disorder, PTSD and Stress release.